Happy New Year! All of us in Honour (Singapore) wish you a New Year of good health in body, soul and spirit, as well as fulfilment and satisfaction in all your personal, professional, and public relationships. 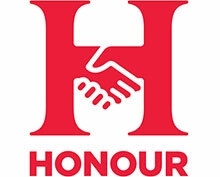 Honour (Singapore) was launched in August 2014 with the mission to promote a culture of honour and honouring for the well-being of Singapore across all ethnic, religious, and cultural lines. Our hope is that Singapore will continue to be HOME, filled with HOpe and Memories, not only for our current generation, but for the growing generation of children, and future generations to come. We are so grateful that you have chosen to stand with us in this endeavour. Honour is living by virtues, which are values in action. When we live an honourable life, we live according to universal virtues that promote collective well-being. We do this by showing great respect to ourselves and others by doing the right thing regardless of what others may be doing, and by keeping our word regardless the cost to ourselves. We believe that being a nation of people who honour our word has been the essential quality that has enabled Singapore to come so far since its independence in 1965, and has distinguished Singapore from many nations in the world to become the world’s strongest nation brand in 2015. We believe that we must continue to honour Honour for the continued survival and success of Singapore. This newsletter is to provide you an update of where we are and what we plan to do in 2016, which we expect will be quite an exciting year. 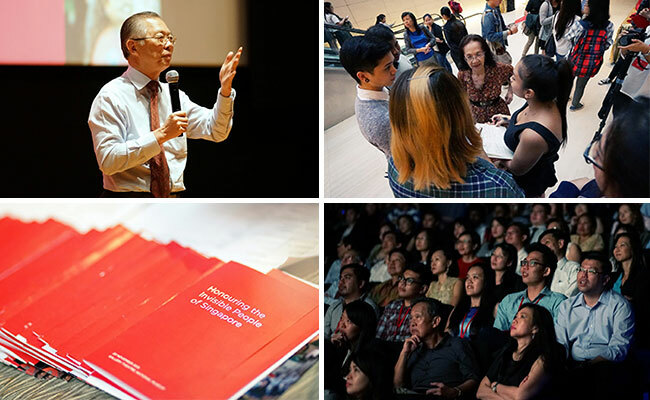 Many people have commented that Honour (Singapore) has been somewhat quiet since we began in August 2014, but 2015 has nevertheless been an intense year of activities in laying solid foundations, reaching out to supporters and multipliers, clarifying ideas, and producing materials that we hope you will find useful and inspiring. We are pleased to introduce our new logo. A handshake is a common way to introduce, to congratulate, to express gratitude, and to mark the attainment or completion of an agreement. It conveys trust, respect, and balance. Our new logo features two individuals (represented by the letter “I”) coming together and expressing honour (represented by the letter “H”) via a handshake, a universally understood symbol of honour, recognition, and acceptance. The symbol illustrates the point that honour must be offered in trust and it can only be sustained if it is reciprocated. As I mentioned in my previous newsletters, we are partnering multipliers to get across the honour message through a process of “learning by doing”. Films: Honour (Singapore) is supporting projects by young filmmakers at Ngee Ann Polytechnic and young adult film producers to produce short films on various facets of Honour. We held a film screening at the National Museum on 20 November 2015 where we screened seven short films to the family, friends, and fans of the young filmmakers. We took the opportunity to gather feedback on the films. Approximately 280 people attended the event. In this section, I list various initiatives we are working on to share the message that honour is important for all facets of our lives – whether it be in the family, workplace, leadership, or life. Films: Honour (Singapore) continues to support projects by young filmmakers at Ngee Ann Polytechnic and young adult film producers to produce short films on various facets of Honour. More than ten of these are in the pipeline. Honour International Symposium: We are organizing an international symposium from 19-20 May 2016 to bring together leaders in business, government, and community groups to discuss issues of honour and honouring for successful business, stable homes, and strong nations. If you are a CEO or a C-suite Executive and are interested to attend the Honour International Symposium, please get in touch with me at LimSiongGuan@honour.sg. Toolkit: We continue to work on an Honour Toolkit to produce materials to help organizations infuse Honour (which is living by one’s espoused value) into their own training programmes so that their employees have a better understanding of what it is to live out their company values at the workplace. We expect to launch the toolkit by the end of 1Q 2016. Please write me at LimSiongGuan@honour.sg should you be interested to attend the launch. Origami auction: Honour (Singapore) and Halogen Foundation Singapore will be the joint beneficiaries of an Origami Auction featuring the works of Mr Leong Cheng Chit. It is an online auction which will be open till 28 January 2016, and can be accessed at www.origamifineart.com. Mr Leong is an internationally renowned origamist. 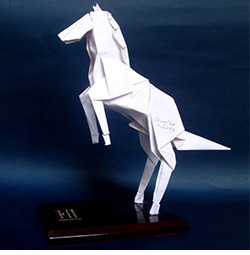 Many of his designs have been published in journals of origami societies in Japan, USA, and Europe. He is acclaimed not only for his immaculate folding, but also for his erudition in the great variety of his work, which ranges from mathematical models to sculptures. We are grateful for his generosity in having the auction support Honour (Singapore). Talks: I continue to speak, on an invitation-only basis, on the subject of Honour at schools, companies, and community groups to share why honor is important for the continued success and survival of our society, and how they can contribute to the well-being of our nation. CEO Forum: This is a periodic forum we organize for CEOs of businesses and organizations, large and small, to explain how Honour would be beneficial to their organizations, and explore how Honour (Singapore) could work with them. If you are a CEO and would like to attend a forum, please drop me a line at LimSiongGuan@honour.sg to express your interest. Honour Champions and Honour Ambassadors: We welcome Honour Champions to collaborate with where we can, and Honour Ambassadors to advocate Honour in our society and nation. Please get in touch with me if you are interested to run with us in this cause as we seek the well-being of our nation. On a final note, we would like to thank you again for honouring us with your encouragement, actions, and faith in 2015. We are a very tiny team working on a big vision of building a culture of honour and honouring for the well-being of Singaporeans, now and in the future. We thank you in advance for your continued support in 2016. Please write me at LimSiongGuan@honour.sg anytime with your feedback and ideas. Wishing one and all a happy new year filled with peace, joy, and love! May you be happy and healthy!